Some neurological conditions require to be treated surgically. With proper diagnosis, thoughtful case selection, a neurosurgeon that is experienced and expert in the field, and proper post-operative care, the majority of the cases have a favorable outcome. How do dogs and cats get meningitis/encephalitis? There is no definitive cause of meningitis/encephalitis. There can be many causes or no identifiable ones at all. Many cases of meningitis/encephalitis are immune-mediated, meaning the body’s immune system is reacting to something that is causing inflammation. Another common way that dogs and cats get meningitis/encephalitis, however, is through infection of the brain by virus, bacteria, fungi, or parasites. Bacterial and viral infections from other parts of the body, like the sinuses, ear, vertebrae, or spinal disks, can be spread to the brain from blood, migrating foreign material, or injuries near the head. How do vets diagnose meningitis/encephalitis? The vet neurologist will analyze your cat or dog’s health records to get a better understanding of what could be the cause. They will then identify the cause by order of elimination. Physical examination, laboratory tests, blood count, urinalysis, and scans will be conducted as needed to single out the problem. Once the vet neurologist determines a possible suspect, they will look into how the problem came about. This can mean identifying an infectious agent, looking for evidence of ongoing infection, or culturing for further evaluation. Most cases of meningitis or encephalitis can be treated when they are identified early on. Ultimately, recovery depends on the cause and the severity of the inflammation. Your vet neurologist will need to treat the root cause of the encephalitis to treat it. For example, if the condition is caused by a viral or bacterial infection, the doctor will prescribe an antiviral medication or antibiotic. For faster results, the vet neurologist may administer the drugs intravenously and provide oxygen therapy or fluid therapy. If the neurological condition is causing other side effects like seizures, the doctor can treat those side effects with pain killers, anticonvulsants, corticosteroids, etc. It’s important to treat these infections before the reach the central nervous system because they can cause serious damage to the body at that point. Successful treatment can take up to 4 weeks for a full recovery and physical activity should be restricted until the animal’s condition is stabilized. 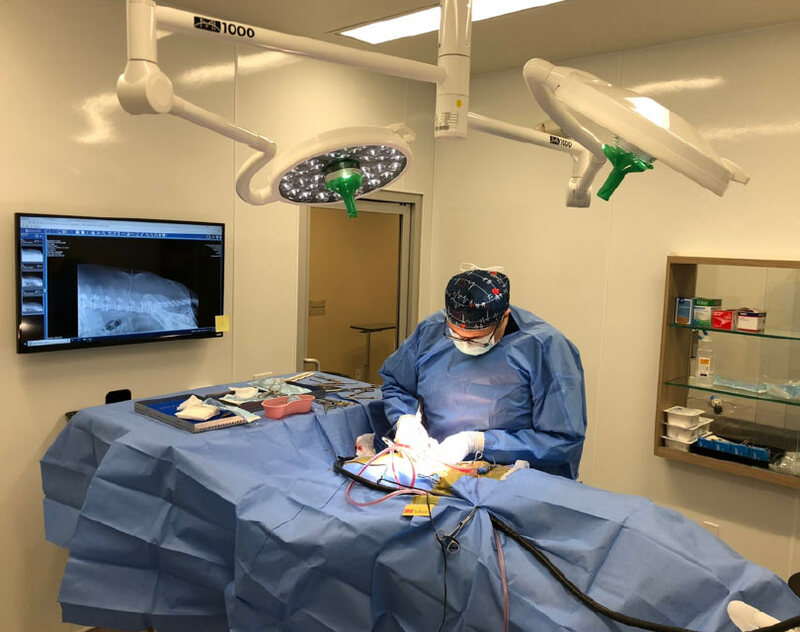 At BrightCare Animal Neurology and Imaging, our vet neurologists are equipped with the training and technology to accurately diagnose and determine the prognosis of neurological conditions like meningitis or encephalitis. 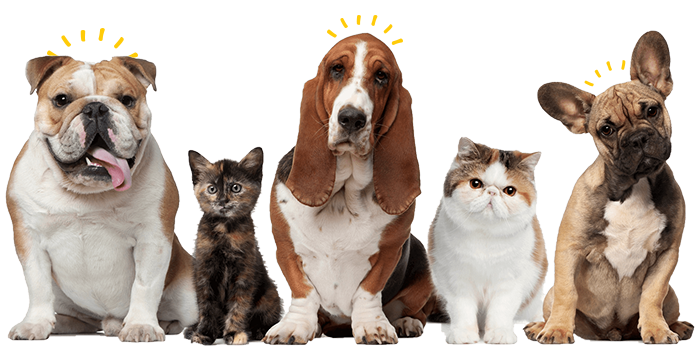 If you are concerned about your dog or cat, stop by or give us a call. We will do our best to provide your animal with the best care possible. An initial diagnosis of meningitis or encephalitis can be terrifying, but both conditions are treatable if they are identified early enough. The brain and spinal cord are fragile but invaluable structures, so they need to be treated with the utmost care and attention. If your pet is suffering from either of these conditions, they need to be treated immediately. Here’s what you to know about meningitis/encephalitis. Meningitis is the inflammation of the meninges (membrane surrounding the brain) and spinal cord. Encephalitis is the inflammation of the brain. The brain and spinal cord serve the essential function of sending, receiving, and interpreting nerve signals. Inflammation of the tissue in and around the brain can cause neurological complications that can manifest in headaches or problems performing everyday activities. This is because the inflammation can obstruct the flow of cerebrospinal fluid around the brain, causing seizures and organ dysfunction. Encephalitis and meningitis are more common for younger to middle aged animals than for older animals. They’re also less common for cats than dogs. Does my pet have meningitis/encephalitis? Obviously, some symptoms, like seizure or fever, are more obvious than others. Take into consideration that meningitis/encephalitis is usually a response to a virus or immune system reaction, so it’s important to be aware of any changes in mental state if your pet has been diagnosed with an infection. Always take your cat or dog to the vet for a follow up appointment if they’ve recently been treated for an infection or injury.